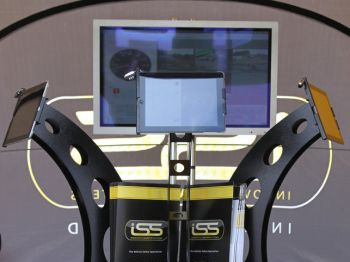 Vehicle safety technology experts, Innovative Safety Systems (ISS) will be using the latest visual communications technology on their stand at RWM to demonstrate the superior quality of their CCTV and hard disk recording systems. Visitors to the show will be able to see in action the new RX3 DVR system, successor to the market leading RX2 DVR system, which offers a host of benefits including improved image quality & frame rate, and additional SD card memory storage. The system also offers the capability for Live Remote Viewing. ISS is also including a free GPS module with every DVR system, with mapping software to view the location and speed of vehicles in real-time or for Live view. ISS supplies, installs and maintains the full range of safety and lighting products including reversing radars, CCTV camera systems, warning beacons and LED lighting packages. For more information about Innovative Safety Systems visit Stand 20B18 at RWM, tel: 01455 557274, email info@iss-international.co.uk, or go to www.iss-international.co.uk.